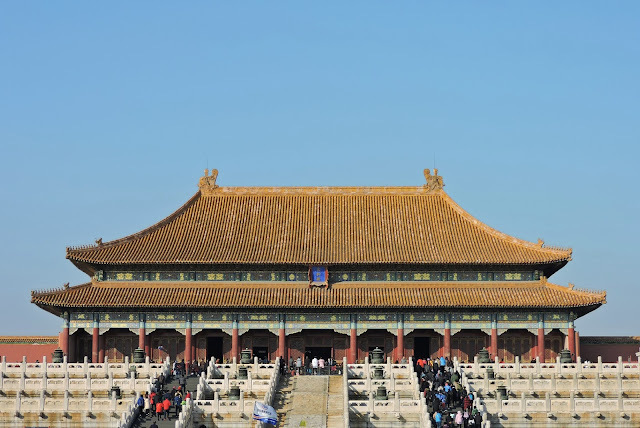 Being one of the most iconic tourism destination in Beijing, Forbidden City holds a huge impression among the tourists and receives thousands of them visiting every day. Well-preserved relics and fine architecture. These are the reasons why this ancient palace could become the first in everyone's checklist. 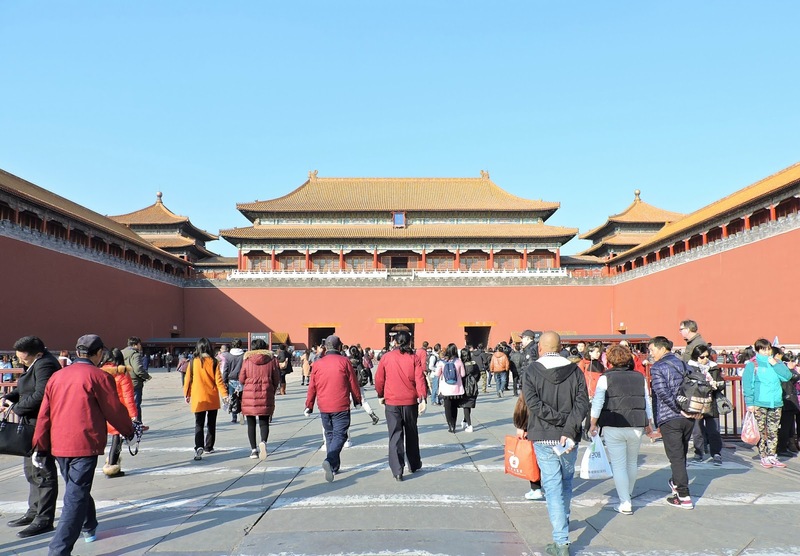 Due to its perfect location, which situated right in the center of Beijing City, the palace is accessible by any means of transportation. If you are planning to take the subway, simply stop at either Tiananmen East or Tiananmen West Station. 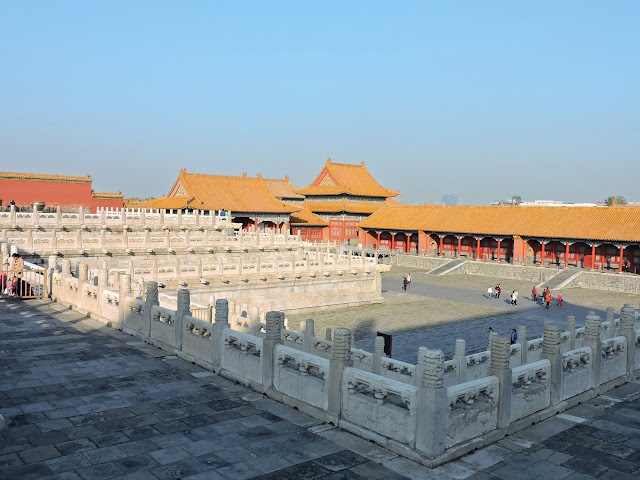 Walk about 500 meters to the front o Tiananmen Sqare and that will be the entrance of Forbidden City. Both of the square and palace are interconnected. Hence, you will have to walk past the square before you could reach the palace. Ticket counter will be provided at the end of Tiananmen Square. As of November 2016, the ticket price was RMB 40 per person. The pricing would be different if you had student pass. This massive palace got its name from literal translation of "紫禁城" (Zi Jin Cheng). Zi, means 'purple', was referring to the North Star, which in ancient China was called Ziwei Star, and in traditional Chinese astrology was the heavenly abode of the celestial emperor. Jin, means 'forbidden', as the people inside the palace were forbidden to walk in or out of it without emperor's permission. As for Cheng, it simply means 'city'. Keep in mind, though, that the word "Zi Jin Cheng" is only used in formal context. If you are heading toward it by taxi, tell the driver that you want to go to "Gu Gong", which means 'Former Palace'. The locals use this name more often. Tourist in Beijing, they tended to seek for one common trait from Beijing - the historical heritage. That is exactly the main tourist magnet of this city. These monuments and relics inside age more than a century, but you wouldn't even notice that once you entered it. This is the result of strict preservation done by the Chinese government in keeping every single piece of item in the palace seemingly untouched. I, personally, would have this same feeling every time I managed to step foot here - it felt as if I was stepping on the same ground that the emperors of China did centuries ago. Visiting the modern and trendy spots in Beijing could be quite fun too. But you might wish to have a little insight on some of these magnificent inheritances passed by the great ancestors. As said by Philip Stanhope, "The world is a country which nobody ever yet to know by description; one must travel trhough it one's self to be acquainted with it." The word 'China' or 'Beijing' do not fairly portray what they truly have to offer. Some were misled by the media and news. Fearing of the unknown, creating speculation based on unclear and incomprehensible description. The choice is yours, though. Just my tiny piece of advice, you wouldn't know it if you hadn't been there yourself. So, go and experience it firsthand. Thank you for such a well written article. It’s full of insightful information and entertaining descriptions.